Funeral services for James Goodson, age 90, of Normangee, will be held 11 A.M., Wednesday, January 16, 2019 at Bethlehem Lutheran Church in North Zulch. Pastor Randal Smith will officiate the service. Interment will follow in the Bethlehem Lutheran Cemetery. The family will receive friends 5 P.M. to 7 P.M. Tuesday, January 15th at Madisonville Funeral Home in Madisonville. James Henry Goodson was born October 5, 1929 in Houston, Texas to Horace & Henrietta (Feuhs) Goodson. He worked as a telephone technician for Southwestern Bell and moved to Normangee from the Spring area in 1977. James enjoyed working outdoors, gardening and baling hay. He was a member of Bethlehem Lutheran Church in North Zulch. 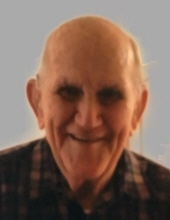 James passed away January 13, 2019 in College Station, Texas. He was preceded in death by both of his parents; wife, Katherine Goodson; brother, Merle Goodson and sister, Shirley Wells. Surviving family members are sons, Rusty Goodson (Robbie) of Cameron, Jerry Goodson of Normangee and Eric Goodson (Jenna) of Normangee; daughter, Angela Turner (John) of Normangee and brother, Earl Goodson of Houston. James is also survived by grandchildren, Jamie and Matt Goodson and Jacob, Benjamin and Rachel Turner, as well as, great grandchildren, Levi and Gabe Goodson and Noah, Elijah and James Turner. To send flowers or a remembrance gift to the family of James Henry Goodson, please visit our Tribute Store. "Email Address" would like to share the life celebration of James Henry Goodson. Click on the "link" to go to share a favorite memory or leave a condolence message for the family.